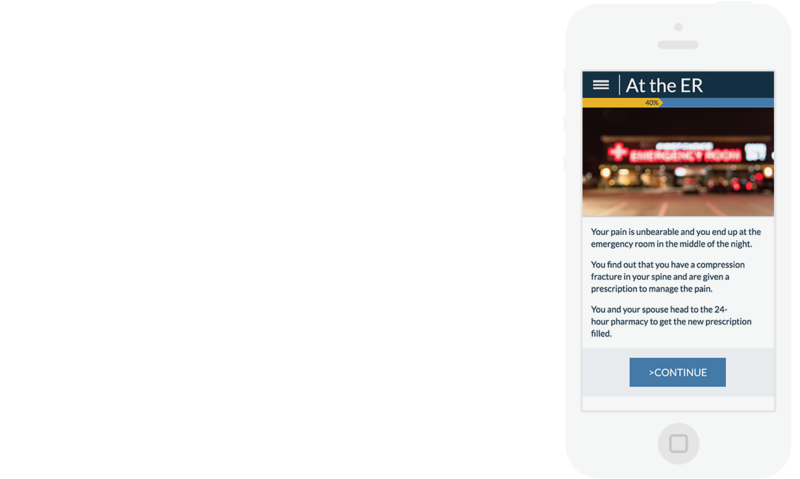 Learners Respond To Real-world Scenarios, Receiving A Customized Experience Based On Their Decisions. 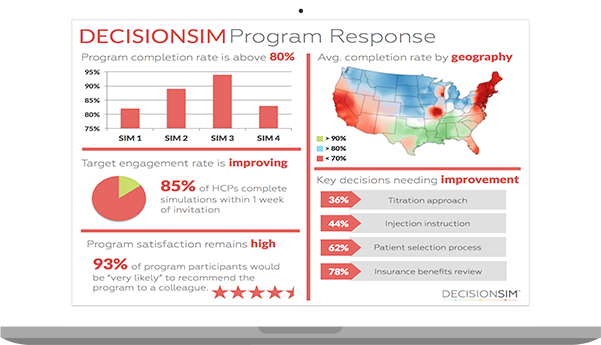 DecisionSim™ makes it easy to build simulations that engage your audiences and improve outcomes. Transport viewers to a moment in the healthcare experience. Include video, audio and imagery to create emotional engagement. Learners make decisions in context and experience the consequences. 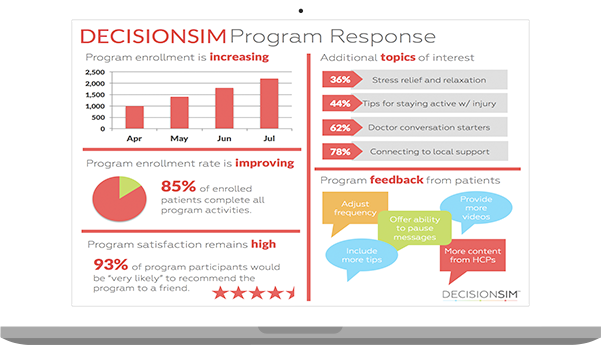 DecisionSim is engineered to provide data from every learner interaction. 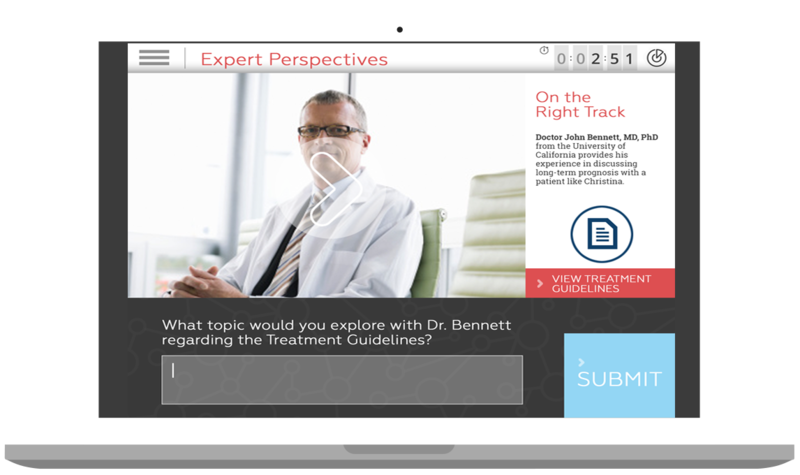 Track learner engagement, understand decisions made and improve outcome measures over time. All made available in a simple infographic reporting interface. 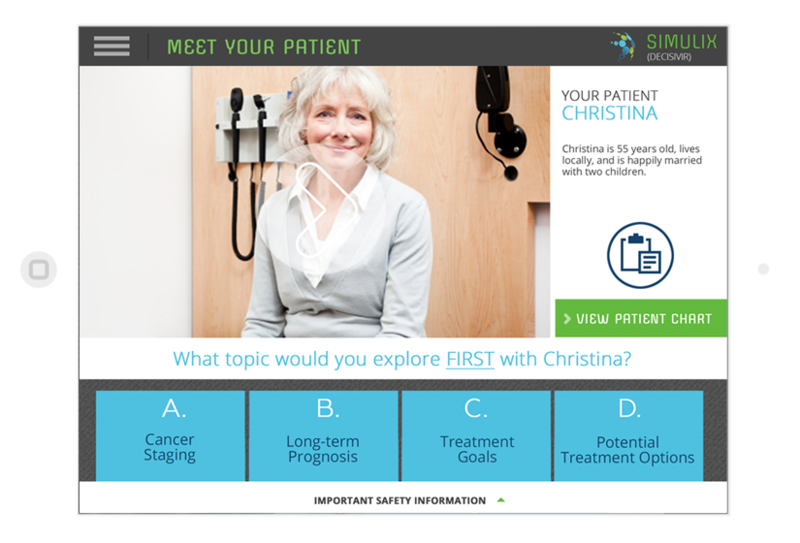 Only DecisionSim combines the benefits of a sophisticated simulation engine with the flexibility of an interactive authoring tool. The result? Engaging simulations for a fraction of the cost, with the data you need to improve learner outcomes.